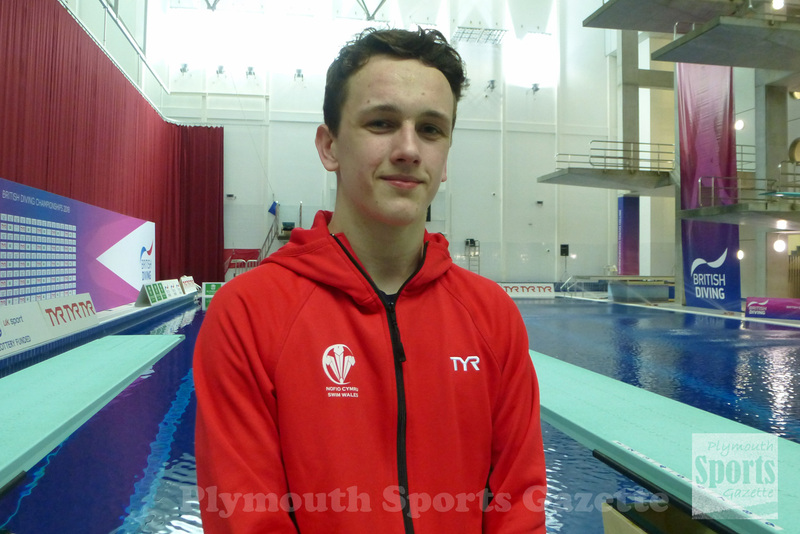 PLYMOUTH teenage diver Aidan Heslop felt he justified his Commonwealth Games selection with his performance at the British Championships. The 15-year-old will become the first diver to compete for Wales in 20 years when he takes to the boards at the Gold Coast event in April. The European junior medallist showed he can more than match at senior level by finishing fifth in a strong men’s 10m final at the Life Centre on Sunday with 413.30 points. That score would have been enough to have also finished fifth in the final of the last Commonwealth Games. It was the second consecutive competition he had broken the 400-point mark, having also done it on the way to winning the Scottish National and Open Championships at the start of December. Heslop also finished seventh and won junior bronze in the three-metre springboard event at the Life Centre, where he beat Great Britain Olympian Freddie Woodward. After the platform final at the British Championships, Heslop said: “It was a really big achievement for me. I got the qualification mark for the Commonwealth Games again so it just reinforced my selection. The Plymstock School pupil is now turning his attentions to making his Commonwealth Games debut in April. Heslop found out he was selected before Christmas but it was only officially confirmed by Team Wales last week. “I got the phone call on the 19th of December and it was amazing to get that,” said the youngster. However, he admitted it was quite difficult to try and keep it quiet until it was officially announced. The Commonwealth Games come just before his 16th birthday and also just weeks before his GCSE exams start. “I will be sat on the plane with a lot of revision,” said Heslop, who will celebrate his birthday the day after he returns from Australia. “But my school are absolutely amazing. They let me off two times a week already for diving. He will continue his preparations for the Commonwealth Games at the Armada Cup, which takes place at the Life Centre in February. He should have been competing at the British Elite Junior Championships, but they are in April when he is in Australia. Last year he won two individual gold medals and a silver at the top junior event, which has made the Life Centre its regular home in the last few years. As well as traditional Olympic-style pool diving, Heslop has also proved he is an extremely talented high diver. Last year he won four major high diving titles, including taking victory at the WHDF International Cliff Diving Championships in Switzerland.